And here's a little slide show of our trip to Thailand...have fun! apprehended, and police are continuing their search for him. fourth victim Charlie Blanch, 22, suffered gunshot wounds to his legs. do not know whether the shooting was random or if there was a motive. think it's the right thing to do," said Warren. will stay while the murder investigation is processed at their residence. Warren says they are trying to deal with this situation as best as they can. be honest, we're going to pray with one another and cry with one another. knows what's going on in this young man's life." and long-term commitment to global disasters, such as the 2006 tsunami. been subjected to this assault. everlasting life for those who follow Christ in loving service to others. that we might bring healing to other needy youth." Last month, our friends took a collection and gave us a little trip to Disneyland...something for which we have been praying. It was so awesome when I finally got to go to AAA and lay the money down for a full 2 day package. 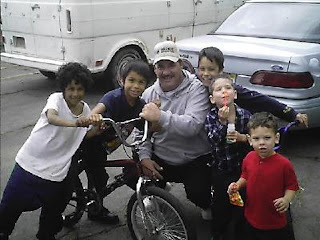 We have never gone away to do something like that as a family. Our vacations are always to go see relatives (which we love and would never want to change) and getting away on our own seemed a bit impossible. But it wasn't because with God, working though a beautiful community of sacrificing friends, yes, it can happen. Even something frivolous andunnecessary. Ok, lesson learned. If it's a good idea to God, he can make it happen if we ask AND leave it to him. That's also part of the deal...being willing for it to not be a good idea and accepting that. But this time, it seemed a good idea. Great! Life, peace, freedom, excitement and experiencing God in new ways as with mouths wide open at something we could have never made happen on our own steam. Even fuel and food were covered! So there we were, on our first day in the park and we took a break for lunch. Having enough for one food splurge a day, we went to Red Robin, a great burger place with a nice atmosphere and refillable fries. We had our meal and Amie and I were waiting for the boys to come out of the wash room when a homeless man with a distressed look on his face rounds the corner coming toward us. My thoughts began to race..."Oh boy, here we go. He's going to ask me for money. What's my position on this?" And then you start to go through the pro/com list..."Well, money will make him just go away...what's required of me? This is my vacation. What's he going to use it for? Isn't it wiser to give some kind of food? That's what we always tell mission teams when they come to work with us. I don't have time to get quick food. Better just go with the standard line..."
This man makes his way over to us and cannot really speak. All he can muster is some mumbling and then, "dollar?" And then, without too much thought (just a lot of presuppositions) I give the standard, "I don't have a dollar for you, sir." Respectfully, with a smile. See, the operative word is "FOR YOU. Oh, I have a dollar for me and my family. We're having a good family time together and I don't want topropagate any of your bad habits so I have no money FOR YOU." Crisis averted, the man shuffled away. And I heard God, through my conscience, clearly speak. "Who do you think you are? Here you are at Disneyland through the sacrifices of others and you don't have a dollar for this man?" I couldn't believe myself! I quickly looked around for the man but he had walked away, nowhere to be seen. Conviction hit me like a ton of bricks. I mean, in a way, the man and I make our income in exactly the same way. I ask people to support us so that we can be free to pursue God's calling on our life. He had no guile, he was not conning me, he simply, very simply, asked for a dollar. Here I am, a "street worker" and I don't have time to fish a dollar from my wallet padded with the beautiful sacrifices of brothers and sisters. I had to repent then and there. God help me. We did have a great time. On our way home, we stopped for one last hurrah at the Home Town Buffet (I know, I know but it our boys favorite place) in Bakersfield. As we left the perfect, beautiful facades of the whole Disney scene (there are no homeless on main street USA) and descended once again into the central valley we got the sense that the fantasy, however fun, was over. We parked behind Hometown near the dumpster, the cracking cement and dirty smell indicating that something is definitely wrong with our way of life. In front of the store there was an older woman standing under the awning out of the rain and crying, begging for money. Her story was that she needed $10 for a bus ride to get to her daughter. I've heard it many times before. And in came the pros and cons. And so did my fumbling words, "Uh, well, I don't know if I have ten FOR YOU...", knowing full well what was in my wallet. And then, peace as I opened to my ten, lifted it out and pressed it into her hand as so many have done for me. "God bless you." She cried and thanked me. I went in and had a disgusting buffet with my family, out of the rain. I am not responsible with what people do with gifts I freely give. Who of us doesn't pamper themselves a little when we have come through a stressful situation. Who doesn't long for the comfort of their bed, a hot coffee, a little extra money or the distraction of a TV show or movie? Or what about our legal, expensive therapy or pills. There is no policy of being human. We are more than a set of standards. We have a beating heart and a will to choose but we lock our hearts away behind false policies of "we only give food" or "they will only use it on drugs". Yes, there are cons...I've been gotten by the best of them. Yes, there is discernment and sometimes giving is not the best. But we must move out of our ear being pressed close to the Father's heart and when we feel it swell with compassion, we respond. Vacation, birthdays and tricks or treats! Wow, what a busy time! It's been difficult to get into the bloggin' habit since our staff retreat in September. With trips, hosting mission teams here in Modesto and lots of family stuff going on, it's been hard to find time to write. I'll get 'er though. So that's that...off I go again! Hope to post soon! It's been a whole month since I've posted! It seems longer. What have we done? 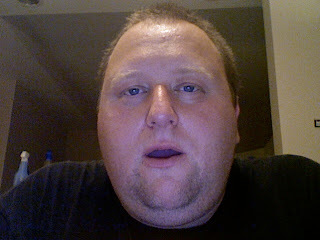 -I've had gout. Gout! GOUT! And it hurts. I am now a vegetarian but I still can't eat beans, asparagus or cauliflower. And yes, I know about the cherry and strawberry thing. I've done all the research. I still have gout. Grrr. -We went to Oregon on a retreat with our whole YWAM Modesto family where I...fished with my boys for the first time, hiked around a gorgeous waterfall, went swimming, had deer in our front yard, sat in a hot tub a few times, enjoyed the rythem of no schedule, spent happy days in clean mountain air, unwound, prayed with my friends, read and, well, did life. -Spent the weekend with Amie's brother and sister-in-law's family in Portland where we video gamed, bowled, Wiied, watched movies and enjoyed a great visit. -We, with our church, hosted our 6th annual BBQ for the homeless community of our town. We served tri-tip steak, all kinds of fixins, free haircuts and fun music right on our property. About 150 came out and a good time was had by all. -We hosted our former pastor (Aaron's sending pastor) from Canada, John (you can listen to his awesome sermons here) and good friend Rodney who came to visit and help with preparations for the BBQ. They were a major blessing bringing warm greetings from the congregation there and physical, financial and moral support. It was so good having them here. So that's that...I've got a few posts in the works so don't give up checking in on me. This picture is my actual Cincinnati chili that I made. Right after this photo, I ate it. It was good. Follow this recipe. You're going to love it! In a pot, brown the beef and leave most if not all the juice in there...I drain a little but it's supposed to have it in there. The leaner the beef the less of a problem this will be. Add the tomato paste and mix it in with the beef then add water till it covers the beef without making it too soupy. Bring it to a boil. Reduce to simmer and add all the spices. let it simmer for about an hour (if you can wait that long). Serve it over pasta like spaghetti (I like to use angel hair or "thin spaghetti") and top with cheddar cheese and fresh, chopped, raw white onion and oyster crackers. A nice Tabasco or pepper sauce is good too. David Batstone's "Not For Sale" is an important book. In it, he presents the realities of the global slave trade in an accessible, story driven style. I'm so thankful that I found out about it. Mr. Batstone has travelled all over the world and interviewed many of what he calls the "new abolitionists". They are missionaries, social workers, activists and just plain ole people that could not turn a blind eye to the hidden oppressed. The book details stories of slavery and freedom happening right now starting in Thailand, Cambodia, India, Peru, Asia and finally, yes, actual slavery here in the United States. Just because it's against the law doesn't mean that it doesn't happen here. Check out our new YWAM Modesto blog! This will be a communal effort to more frequently share about our work and perspective. The two shall become one but this is ridiculous! Alrighty folks, some changes are coming down the stream here in a bit but there is a new Whitler family podcast available. You can subscribe right there OR search in itunes for "A Very Whitler Podcast". In this episode are some stunning selections from my little vinyl record collection. Have fun and let me know what you think! 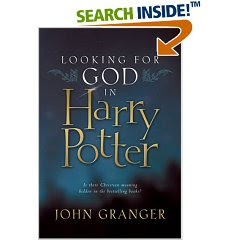 This is a classic Christian book that I have not read. Well, I read it...wow! What a cool story. This book is the testimony of a Dutchman who became a Christian and slowly found his mission to encourage and comfort the suffering church in communist states. This chronicle of miracle after miracle is quite challenging. 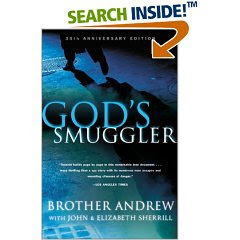 Brother Andrew (a name he became known by due to his need to keep his identity a secret) traveled all across communist Europe with quite a few close calls. Brother Andrew is still going too...you can find out more about their work in "closed" countries at the Open Doors website. that so few people could get a hold of. It's a difficult thing to relate to. We in the west have access to so many Bibles...so many kinds There are about 6 in the room I'm in right now. And even more weird is the fact that it is so available and so little read. "The Bible contains the mind of God, the state of man, the way of salvation, the doom of sinners, and the happiness of believers. Its doctrines are holy, its precepts are binding, its histories are true, and its decisions are immutable. Read it to be wise, believe it to be safe, and practice it to be holy. It contains light to direct you, food to support you, and comfort to cheer you. It should fill the memory, rule the heart, and guide the feet. Read it slowly, frequently, and prayerfully. It is a mine of wealth, a paradise of glory, and a river of pleasure. It is given you in life, will be opened at the judgement, and be remembered forever. It involves the highest responsibility, will reward the greatest labor, and will condemn all who trifle with its sacred contents." "Global Youth Network is a non-profit organization that provides opportunities for growth, education and a world perspective for university students on justice and poverty issues. Global trains young leaders and facilitates teams for work in 15 countries (and counting), partnering with grass roots efforts on the ground that serve the poor and oppressed. Out of these trips comes vision for developing leadership and investment in long term projects with the end result of greater understanding, improved ways of relating and making the world a better place." The meetings were a good start to better organization. Why was I there? We're part of that "leadership training" statement in Modesto. Each year, Dave brings a handful of his leaders to Modesto to spend time with us. It's a great partnership. The leadership team that I met with may even come down in the Spring to have more discussion. I'll write more later on how you can help Dave but for now go to the Global website. I can actually think of no other person in my life that has influenced me more than Dave. You'll never see him as the key note speaker of a huge conference. He'll probably never be all the buzz or have written the next best book on international development or missions or something. He's too busy for all that...usually having coffee with some young person, through relationship, quietly and faithfully convincing them that they can change the world. 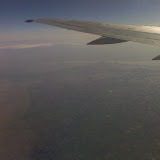 Well, yesturday I borded my 2nd flight to Canada in 2 weeks. 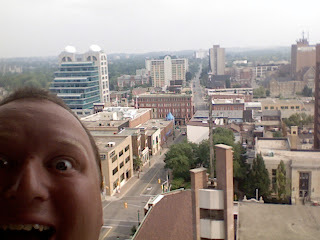 This time, I'm in my ole stompin grounds...Kitchener, ON. I'll be at a round table discussion with Global Youth Network, a justice organization associated with YWAM in Canada. Well, it's actually a round "campfire" meeting cause we're camping. But since we have left Canada, we've partnered with Global in various ways. But most recently, Global has commited to sending their leadership training group to Modesto every Spring as they prepare to take teams all over the world in May! We've had a blast with these teams in the past and I'm excited about the future. There's no electricity so I will have to pitch my tent far away from the others in order for them to get some sleep! (I have the apnea in case you didn't know. I think I had a hand in it as my friends up here have completely converted to Mac. If that were all I'd been able to do, it has been worth it. It's really HOT in Winnipeg. Humidity hot. Steamy hot. It doesn't let up at night hot. Lay a cold, wet rag on your belly while you sleep hot. I told you too much didn't I? But being here is great. After a long absence, I'm teaching at a YWAM Mission Adventures program. It's good stuff. There is a team here from my former hometown of Kitchener, Ontario (from Kitchener Gospel Temple) and another team from Saskatchewan. They're cool and receptive and seems like, ready to learn. The theme this year is "Lazarus, wake up dead man!" We talked tonight about the fears that hold us back from being who we were made to be. The things that cause us to put up false selves because we're afraid of...whatever...the death of our selves, our cool, our friendships, the way people view us, etc. Pray for us this week, that God would minister to this group and the thousands of teens all over the world going through Mission Adventure programs. That Jesus would help us to tear away the grave clothes that bind us from moving freely as he intended us. After this few days of training, the kids will hit the streets here and bless this city with the love of God. This is a model for our lives...to spend time with God in the secret place, to let him pull the world's junk off of us, set us free and send us into a dying world that needs him. It's what I want to do for the rest of my life. And did I mention it's really hot here? Cause it is. Hot. Expletive hot. hot. Alrighty, I know I haven't posted in a long while. Thanks for all the encouraging emails wondering if I've been ship wreaked or eaten by hungry lions. I have not. I must say that I have not been too inspired to write or do much online at all really. While recently away in Kentucky (yes, I went back...some "all the sudden" stuff with my Dad) I just started reading books...a lot. So I've been reading so much, I haven't really taken the time to do this. I liked all the books I read and I shall now recommend them to you. Feel free to post your own recommendations in the comments below. Perhaps I could pick up one of your favs soon and we could talk about it and junk. It's been hard to get people into Lawhead. Several attempts to give these books to friends have fallen to the ground. 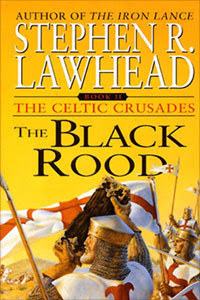 I have loved most of the things I have read by him and this book is the 2nd in a trilogy called "The Celtic Crusades". It's good stuff! But a good entry level Lawhead book is "Byzantium". It's good and only one book...not three. History and fantasy woven together beautifully. Whoa. This book is intense. I picked it up at a Starbucks of all places. 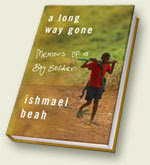 They donated a dollar a book I think to help the people helping child soldiers and this book is a chronicle of a boy soldier (written by the boy) from Sierre Leone. It a fast read and quite heart breaking. I couldn't believe the things this kid experienced and then the realization that it's happening thousands of times over in war torn parts of the world. If you're feeling sorry for yourself and your current situation, this is a great cure. It's a great story to give one perspective. And this kid made it out of the unfathomable with dignity and grace. His story humbled me. I've yet to read "Blue Like Jazz". And I have read "Through Painted Deserts" but I got a copy when it was called "Prayer and the Art of Volkswagen maintainance. I guess he's added a bit more to that story for the re-release. I don't know why but I usually avoid the "all the rage" books. It's dumb, I know, cause if I just get around to reading some of these things, I usually find out that they are popular for a reason. Heck, I even liked "The Prayer of Jabez"! We're reading this with our youth guys as a discussion starter and I really loved it. The by line is "reflections on growing up without a Father". 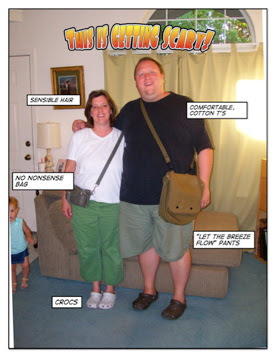 His honest, humorous and easy style makes it a joy to read. I even laughed out loud a couple of times. I would give this book to every guy and say..."This is the man you want to be" and I would give one to every girl and say, "Hold out for a man like this". It's good advise for the fathered and fatherless alike. I know I said "whoa" before in this entry but...WHOA! I got this for my plane ride home from Kentucky following C.S. Lewis' advise to read an old book after you've read a new book to balance out your perspective. 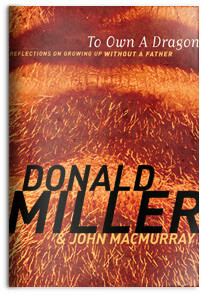 With "Orthodoxy" after Donald Miller it's like saying, "Make sure you eat a 72 oz steak after you eat that green bean. You know, to balance yourself out." His style is at once heady, philosophical, rambling and wistful. It's quite the ride. It's a "read the paragraph over a few times" book. It's really his explanation to colleagues as to why he has decided to be a Christian. 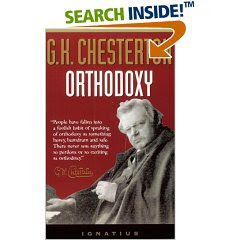 If Lewis is the NIV, Chesterton is the KJV. This was fun and good exercise for my brain. It brought tears to my eyes a few times and the whole lot was worth reading to get to the last sentence. I know, I know. I must say along with my good friend Aaron who loaned it to me that I never buy these kinds of books. I'm more in line with the "just let a story be a story" camp. But this Christian, home schooling, English literature teacher's enthusiasm for Harry is quite contagious. He provides keys for wary parents to unlock some of the beautiful symbolism in the series and is upfront, intelligent, educational, a bit nerdy in his facination and having fun all the way. What's cool is that he admits to banishing Harry from his house when he first heard about the books and then, after reading the first one (through the night) he could not believe this wonderful story had almost passed him by. I'm a Potter fan and so this is a fun read. It's a good through and through read but also, a good skimmer. For any squeemish parents out there, the introduction and the first chapter I'd highly recommend, "Magic, Fantasy and the Christian Worldview". Even if you don't agree, it's good stuff to chew on. I'll try to be better so you don't get these horrid long entries. Blog you later! These are at your local health food store...you light one end and stick the other in you ear and it gently pulls the disgusting wax out. We look like we're in a cult. Careful...always follow instructions! She seemed to take to it. Mmmmmm...sliders! Thanks for the prayers and nice messages while we were in Kentucky. We had a great time and much was accomplished. Last night was a wholly unique experience for me. Now, I've been a lot of places and attended many churches but none could have gotten me ready for what I was in last night. Perhaps, better said, all of those experiences were getting me ready for last night. The little, 3 hour service in a small village in Romania, the sticky, hot, crowded service in Jamaica, even the more recent visit to the Iglesia de Critso in Ensenada, Mexico where I played a really out of tune guitar along to "Este es del dia..."
My cousin, Darrin Pentecost is a preacher and a pastor of a little country Baptist church in central Kentucky. It is a small white building with a steeple set in the green countryside near Central City, Kentucky. Darrin was preaching at another church last night that is holding revival meetings this week. We drove 40 minutes to my Aunt's house for some sweet Kentucky BBQ...that's a pork roast cooked all night, fat pulled off and pulled apart and thrown into a slow cooker for another day with awesome sauce that infuses into the already tender meat. That's right folks, a two day process. Then we drove 40 more minutes into the country to attend the revival. This is not on a highway...this is back into the country on small roads. We passed several makeshift signs in the shape of crosses. One said, "Lord, let your millennium come..." Another, I'm not kidding, said exactly this, "Jesus said John 3:16 and a whole lot more." We passed many little country churches along the way and many of them were holding revival meetings this week. My cousin told me that it's kind of the season for it. I had forgotten that but now I remember it, it's true. We finally pulled up to a small building with many cars parked around it. The lawn was a bit unkempt and there was a covering in the back with several picnic tables under it and a kids playground next to it. My sister's family and ours walked up the steps to friendly faces and the congregation literally gasped when we all walked in...all twelve of us. The carpet was brown, wood paneling on the walls and the pews were wooden with a little padding and the back went straight up and down. We crowded into two pews and filled them up including my Aunt Mary-Lou and my cousin Gail, her husband and kids....right up front. The choir sang some boisterous old gospel songs along with an upright piano and a guitar. The congregation sang very loudly with hands in the air and when they didn't know the words they shouted praises and encouragements and blessings. Our eyes were wide. During one song, an older, bare footed lady from the choir loft came down and kind of danced up and down the aisle...it wasn't really a dance...more like a hopping walk while happily making eye contact with folks in the crowd and encouraging them to sing along. It did not seem that she was show boating but she was just being happy and doing what seemed good to do. At one point in the music another woman approached the small alter in front of the communion table, in front of the pulpit. She knelt down in the middle of it and immediately, the church gathered around her and prayed for her as she cried at the alter and the music continued and people sang and prayed and no one said the prayer was over, they just all stopped. The lady left the alter (the music, singing and shouting is still going) and took her place back in the choir. This happened several times during the night...someone going to the alter, many gathering around them to support their prayer and in all stopping spontaneously all the while the service is continuing from the stage area. A special quartet sang about five songs, three women and a man called "Heavenly Highway" doing gospel songs to soundtracks and the roar of "Amen", "bless 'em, Lord", etc. There was the classic "Beulah Land" often heard on the Gaither Gospel Hour and they ended their set with "Oh my my! Glory, glory, glory!" That was the name of the song. During their performance, the pace continued of random pray-ers at the alter and spontaneous, all-at-once prayer for them. God loves us and has our best interests at heart. This is a good message. The culture of this little Baptist church is unlike any I have ever witnessed. It felt like we were inside a movie. It was loud, free-form, chaotic but somehow structured. My cousin exploded with a heart full of passion for God and his people. When we were kids, our visits to central Kentucky were a few times a year. We'd play, run and have fun. I didn't know this but Grandma (on my Father's side) would often look at Darrin and tell my Aunt, "He's going to preach someday". Well, it took a while but a few years ago Darrin yielded to God in his life and very soon afterward heard the call to preach. His little church is growing the right way...non-Christians are becoming Christians and staying in their fellowship to be discipled. They minister in prisons and in Mexico and to the country folks of Mulenburg County. I was amused by the things that were different than my experience but the evident Spirit of God moving through my cousin is humbling and challenging. 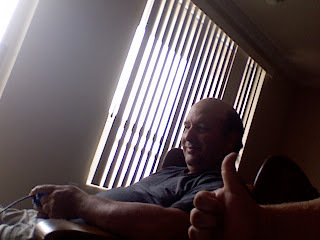 Darrin prays and is available. The only thing in this life that counts. movement, every sentence, every thing is work and it is frustrating. Cracker Barrel and Spider-man 3 yesterday and had a great time together. healing, grace and peace in this phase of his life.